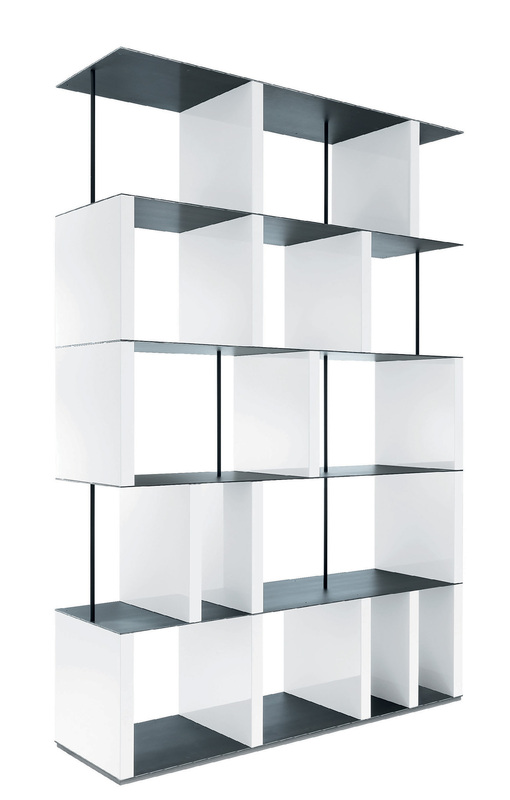 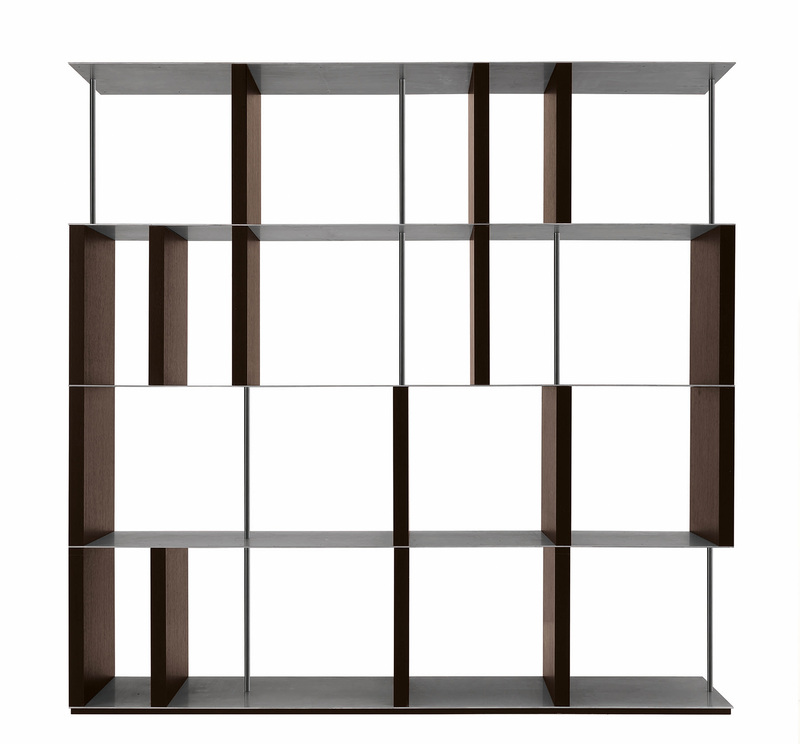 Manhattan is a collection of bookcases with a distinguished architectural design, featuring a strong contrast between the thickness of the uprights and the thin line of the shelf. 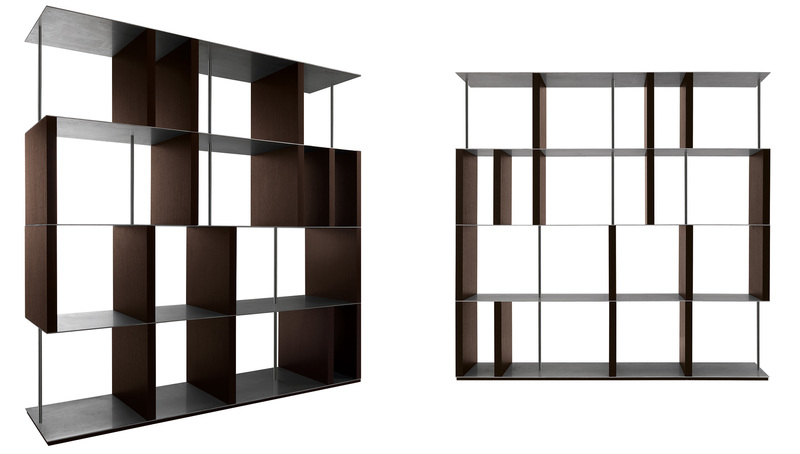 Configured in two versions that can be used alone or next to each other, against a wall or in the middle of a room. 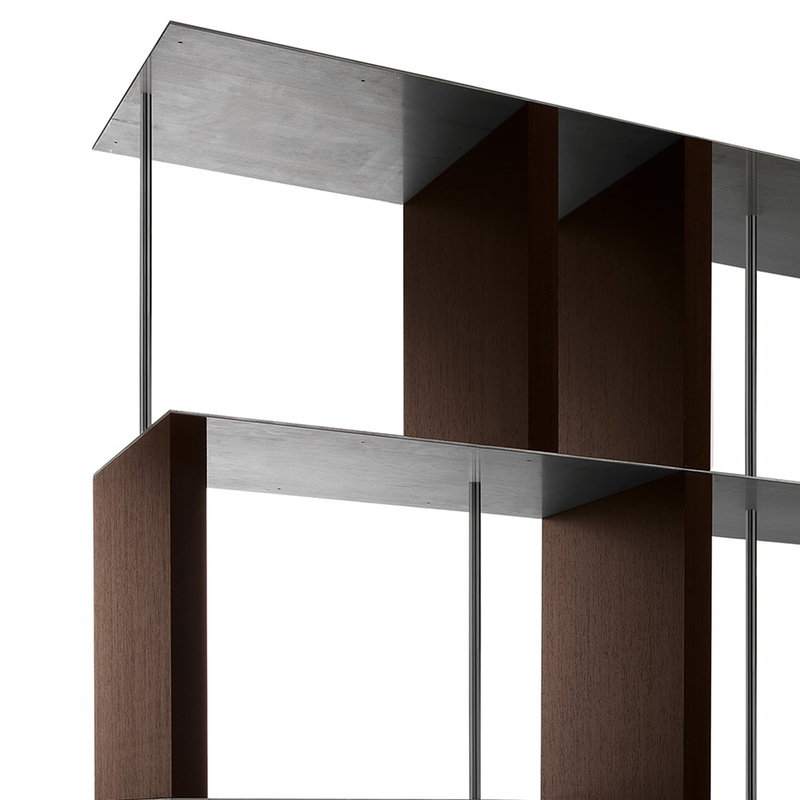 Uprights are in walnut, dark oak, gloss and matt lacquers;, spacers are made of metal rod and shelves are out of iron sheets with a natural oxidation and transparent coating.